The hot streak for ILOVEMAKONNEN has yet to slow down. After his big Drake bump last week, not to mention his new track "Doubted," he's teamed up with recently label-free rapper Trinidad Jame$. The two address their haters on the track, but it's far from a stereotypical rap track. Instead, the two deliver an impressive collaboration on a hard-hitting, entirely unique production from Sonny Digital. Put simply, it's a hot track and one that further cements these two as forces to recognize. Listen to "H.O.M.E." below. 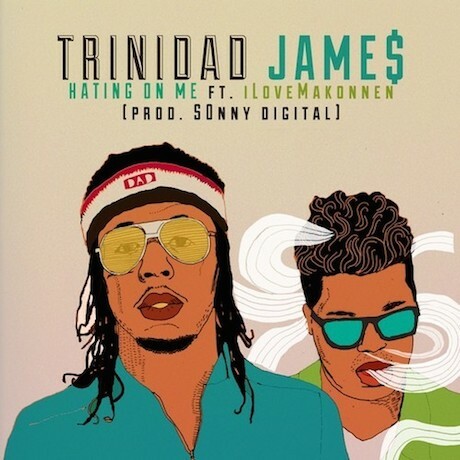 The song will appear on Trinidad Jame$'s upcoming new project, set to drop on August 23. Trinidad Jame$ "When Greatne$$ Unfolds"